We used flowers to create a math garden that reviews number identification and order! I was thrilled that both our preschooler and toddler loved this activity plus it only required a few materials! 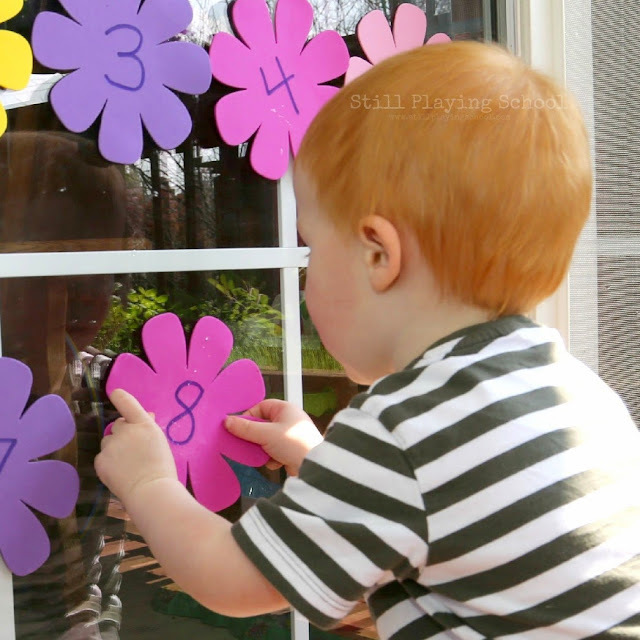 This week's Playful Preschool theme is flowers! I wrote numbers one through ten on foam flower shapes for the kids to discover outside. Using paint brushes and a bit of water the kids painted the back of the flowers. This was great pre-writing fine motor practice! When the foam is wet the flowers will stick to windows! You could also try this activity in the bath tub and stick the foam to the tile or walls or any white board surface! Try it and see where it works. Look at our garden grow and bloom! We put the numbers in order as the kids took turns finding the next numeral as we counted together. We also identified numbers again once they were in order. We pointed to the number flowers I named but you could squirt them with a water gun or "pick" the flowers, too! Spring and summer are full of opportunities for preschoolers to pick flowers from the yard. 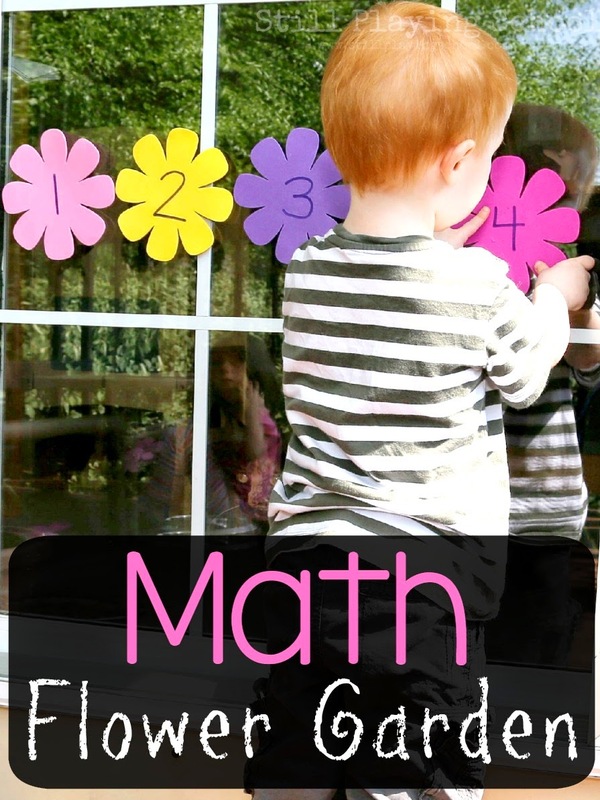 Bring a bouquet inside and have fun arranging them while learning about the alphabet in this fun and playful activity. There are few things that excite our senses like the fragrance of flowers! Come try a lavender scented sensory paint to enhance pre-writing skills! Free lavender pre-writing printable for use at home (or in the classroom)! Get outside with your preschooler and explore nature while hunting for flowers by color! Use the included printable to record your findings and then practice various math concepts with your data. Flowers are not just beautiful, they have a purpose too! Many flowers turn into the food we eat. Honey bees are to thank for this! Grab your markers and celebrate the pollinators with this bee craft and science activity for kids. Take learning outdoors. 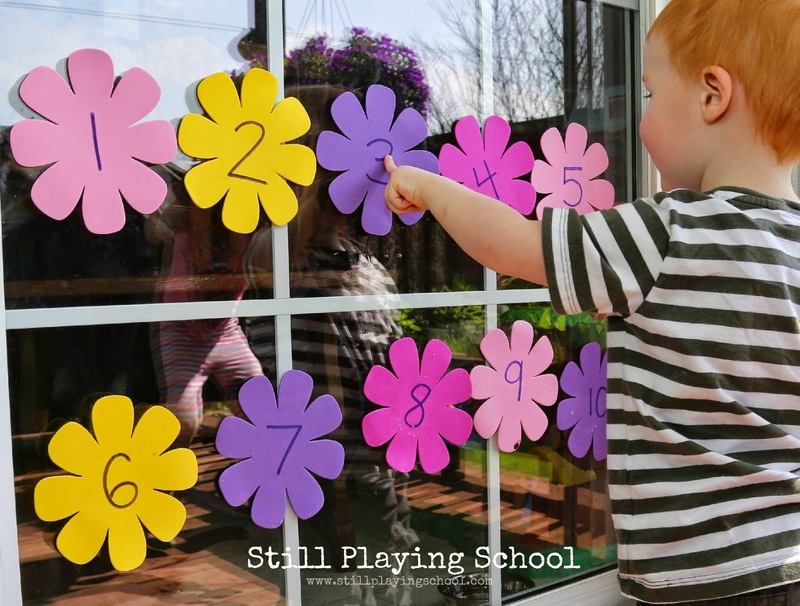 Fill the driveway with letter flowers and provide your child with plenty of opportunities to practice writing, matching, and tracing the alphabet. 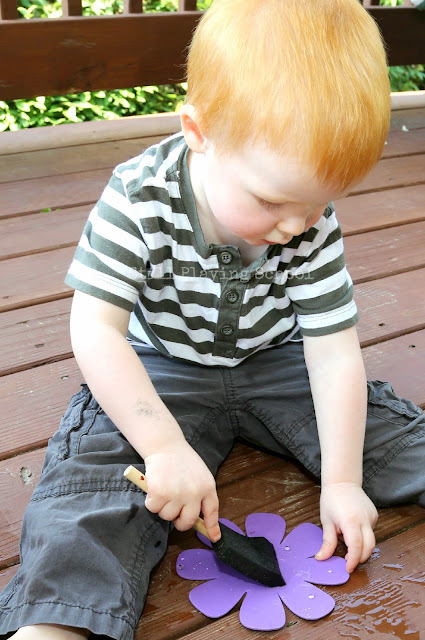 Learn colors, count, and practice fine motor skills with flower sensory play for preschoolers! Make an easy word family game with paper flowers to practice reading simple CVC or consonant- vowel - consonant words. Ask your child to make a beautiful flower garden with their fingers, sit back, and watch the magic. 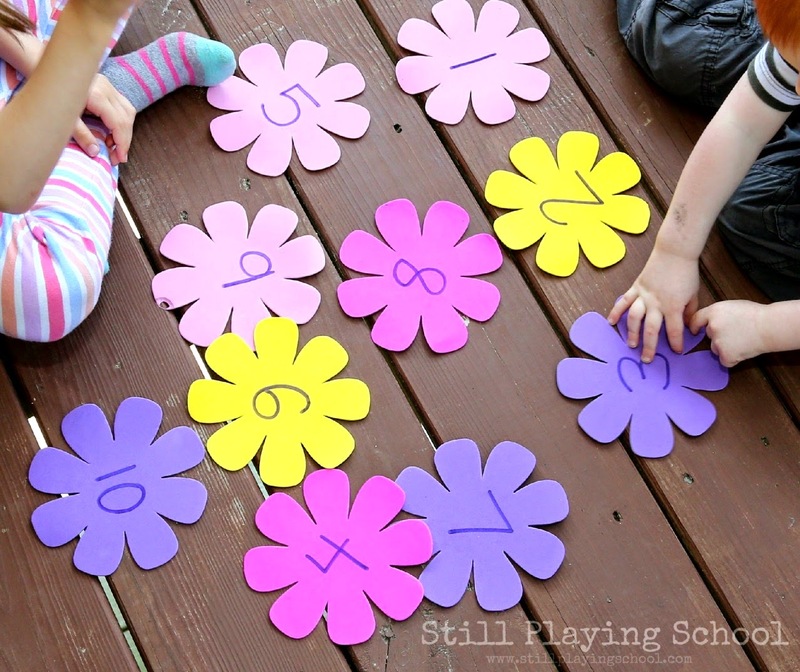 Work with preschoolers on letter recognition with this reusable flowers activity that is simple to make and can be used again and again. I'm loving these foam shapes on the window. Do you think they would work in the bathtub? This is a great idea! I think I need to make some for bath time!! Brilliant idea - I love the foam flowers and using them on the window going to give it a go and see if they will sort them into order here. We love sticking foam shapes to the window with water! SO fun! Foam shapes are so much fun. We used them in the kids' bath today. I LOVE how you used a foam brush for them to paint water on the back of the shapes. What a great fine motor addition. We love foam sheets! Love this idea! 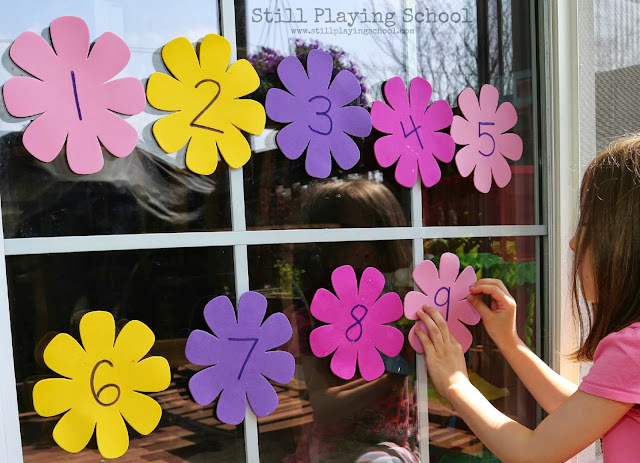 What a fun way to incorporate number order with your flowers-themed play! Love this! We enjoy foam flowers in our tub a lot. Like this idea.